When studying the groundwater flow, one of the main factors that influence its behaviour is the topography. Nowadays, we can obtain this topography information from several sources, being GeoTiff one of the most popular elevation models format file. 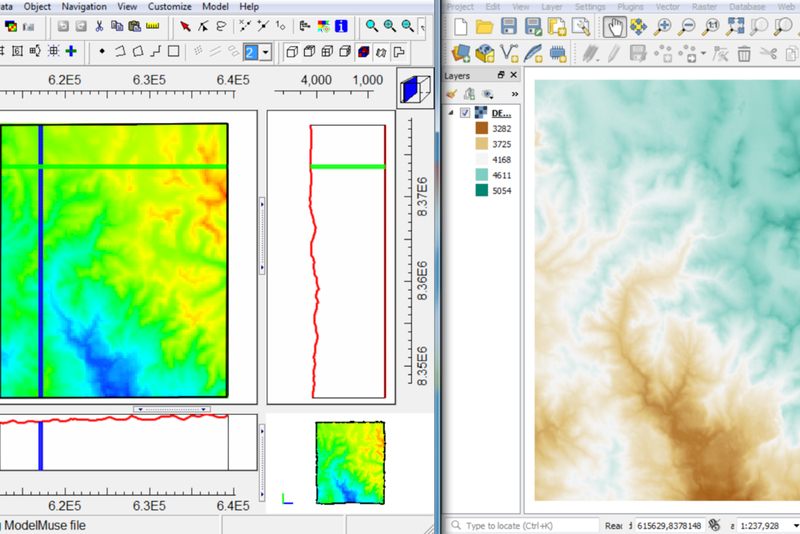 Model Muse is a versatile MODFLOW graphical user interface (GUI) where it is possible to insert many boundary conditions and terrain characteristics in order to represent the real conditions of the groundwater flow in an accurate way. In this tutorial, you will be able to learn how to import digital elevation model data into Model Muse so it can be assigned as the topography of the area and take part into the simulation. Download the input files for this tutorial here.